Trying to find healthy snacks that the kids can get excited about? 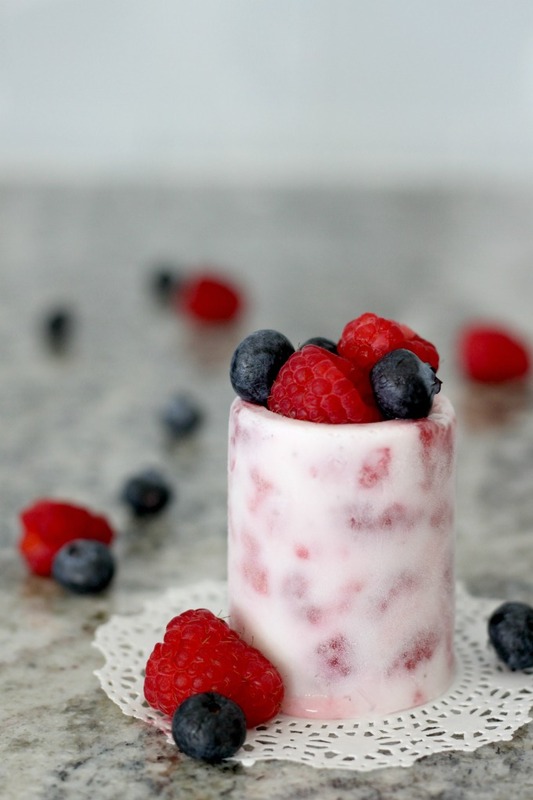 They’ll love making these delicious frozen yogurt cups. Let them fill the cups with their favorite fruit and they’ll see that eating healthy can be fun too! I love the holidays but it can be hard to eat healthy with so many goodies around! It doesn’t help that I’m usually the one making these goodies. We love giving treats as gifts to teachers and friends and can’t help but taste test as we go. That’s why I’m making a conscious effort to serve my family healthier snacks and meals. It’ll offset those Christmas cookies, right? Plus, I want my girls to learn the importance of balance. They should know that it’s fine to eat a cookie now and then as long as we don’t do it all the time. 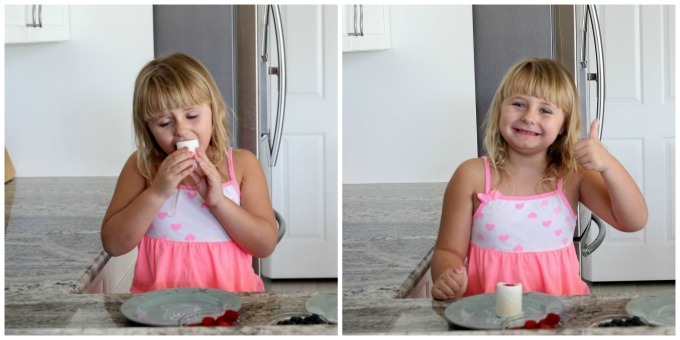 One way to teach them is by making it fun to eat healthy. 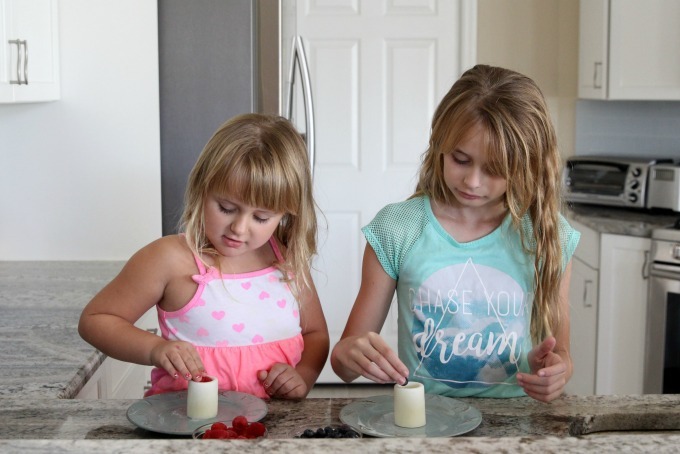 Since my girls love helping out in the kitchen, I thought I’d let them start creating their own yummy snacks. 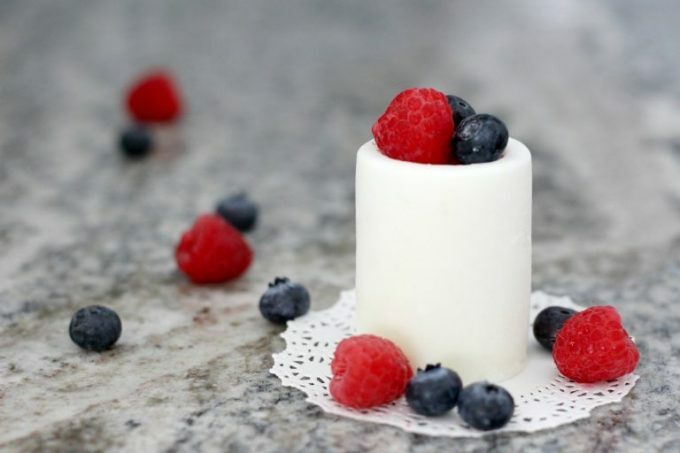 Since we make so many treats for the holidays, we decided to make a copycat dessert with a healthy twist. I pulled out my favorite chocolate mold to make edible frozen yogurt cups. My girls totally loved the idea, especially since I let them choose the fruit they wanted to fill them with! After adding yogurt to the mold, we tapped it on the counter until the air bubbles worked themselves out. After topping them off with a little more yogurt, Keira smoothed out the top (actually the bottom) of the cups. Otherwise they would would look like the Leaning Tower Of Pisa once we took them out of the mold. 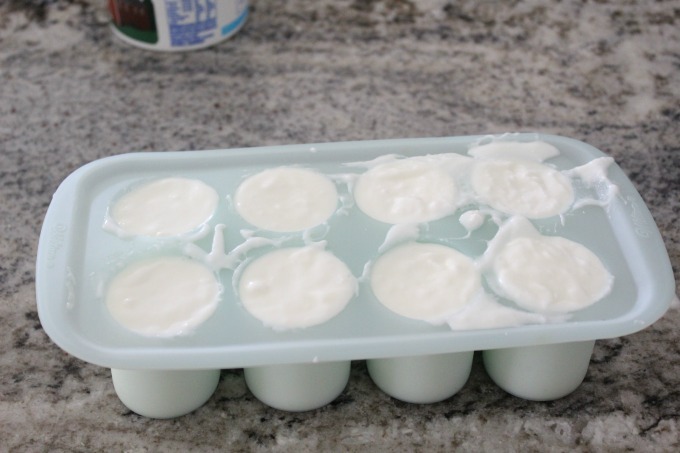 We froze them overnight and when the girls were ready for a snack the next day, we popped a couple of yogurt cups out of the mold and fill them with fruit. These make for a fun snack, especially since you can fill them with any kind of fruit you like. 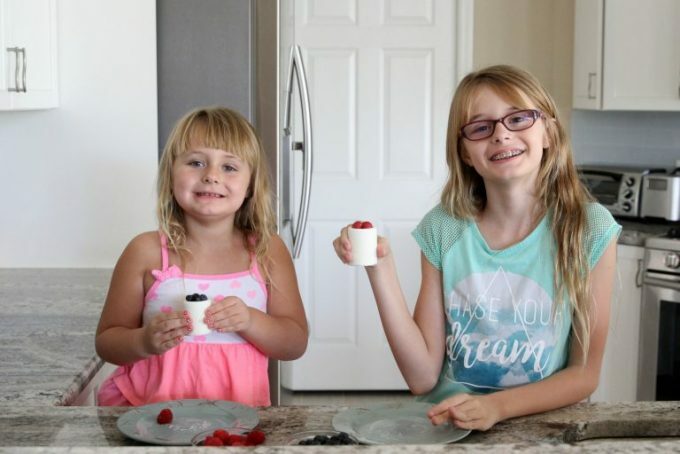 The girls loved making these frozen yogurt cups and couldn’t wait to see how they tasted. 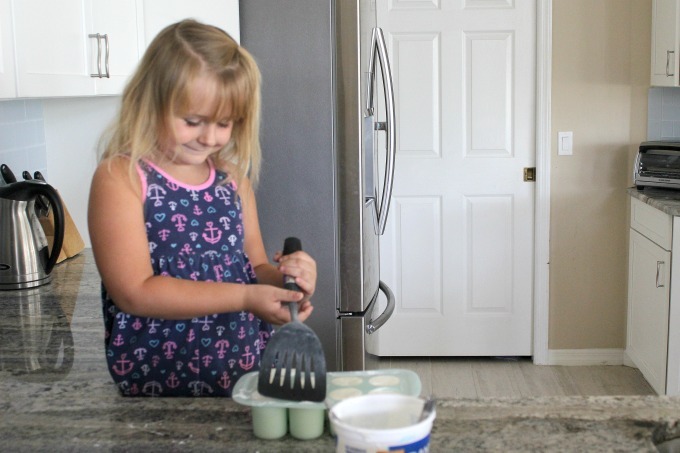 Keira was the first to try hers and gave these healthy snacks her seal of approval. I even got a little crafty afterwards and made more yogurt cups, mixing raspberry pieces in with the yogurt this time. 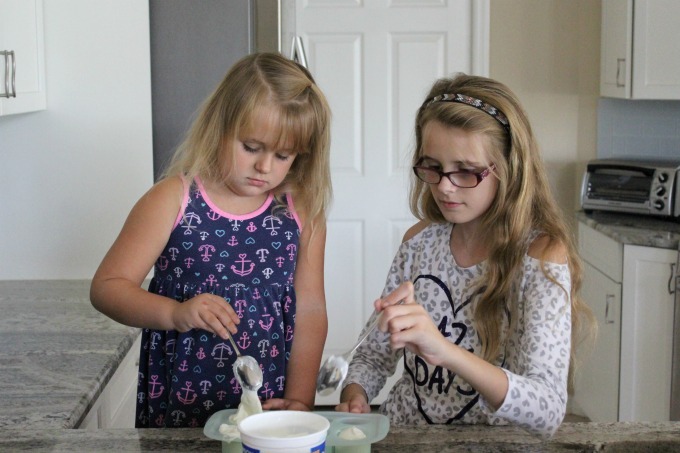 I feel fortunate to be able to give my girls the healthy foods they need. Unfortunately not all children are so lucky. It’s hard to believe but there are almost 16 million children who don’t have access to the food they need on a regular basis. 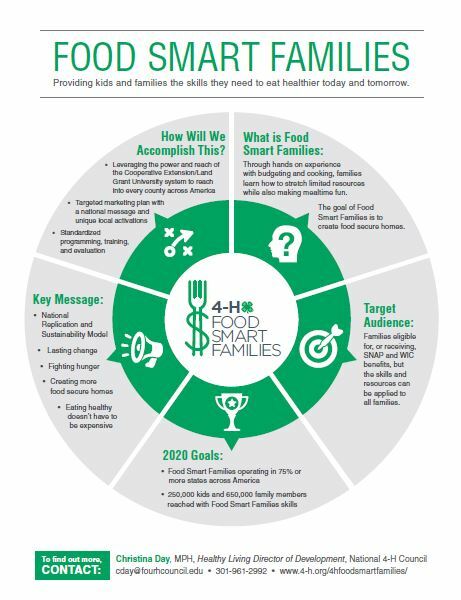 That’s why the 4-H Food Smart Families Program was developed. This program is designed to help families who are eligible for or receive SNAP (Supplemental Nutrition Assistance Program) and/or WIC (Special Supplemental Nutrition Program for Women, Infants, and Children) benefits. It teaches them that they can still shop, plan and prepare healthy meals, despite being on a limited budget. 4-H has partnered with United Health Care and since 2011, they’ve delivered their healthy living program to more than 340,000 children and their families. The Food Smart Families Program works with youths and their families to give them the knowledge and skills they need to live healthier lives. It also connects them with local resources so that they can get nutrition assistance. So far this program has been implemented in 14 states but the ultimate goal is to expand it across the country. As a former teacher, I know that some of the families that passed through my doors could have used this. It’s nice to know that there’s help for families in need and a whole generation will grow up learning healthier eating habits. Hopefully they’ll even pass those habits down to their own kids one day. It really does take a village and working together, we can raise a generation of happy, healthy children! Find out more about 4-H by following them on Facebook, Twitter, Instagram and YouTube.